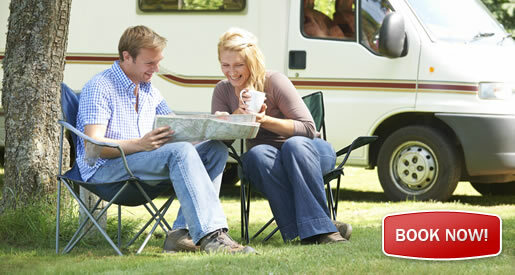 The Waratah Camping Ground provides excellent caravan and campsite facilities at Waratah on Tasmania's west coast. Waratah is a small tin mining town situated halfway between Burnie and Queenstown. 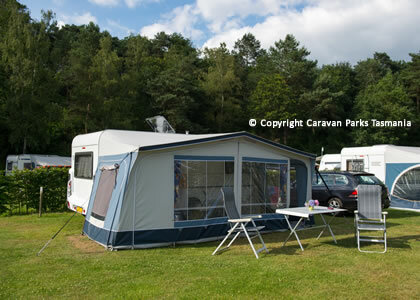 The camping area is located beside a small lake, with 30 campsites and 10 powered sites, electric barbeques, amenities block and laundry facilities. The park is convenient to shops, hotel, and the museum. Waratah is close to trout lakes, bushwalking tracks, aterfalls, gold panning, mine tours, the Pieman River cruises, and Cradle Mountain is about a 50 minutes drive so Waratah makes an ideal base to explore the west coast. Camping fees for a powered site is $28, unpowered site is $22, facilities only is $16, self-contained $6 - a key deposit of $5.00 is required. The Caravan Park is within walking distance to main town attractions including the Waratah Waterfall, once used as a source of power in the state's second hydro-electric scheme. For outdoors types, enjoy the choice of accessible walks in and around the town, including the renowned Philosopher Falls Track. There is a 9-hole golf course, and anglers can fish for trout in the well stocked lake. Bring your caravan, campervan, camper-trailer or tent to this old mining town surrounded by wilderness. There are forests, mountains, lakes and rivers. The campground is a short walk to Lake Waratah and the famous Waratah Waterfall, once used as a source of power in Tasmania's second hydro-electric scheme. Where else would you find a waterfall in the middle of town. Enjoy the floodlights at night, the more active will enjoy a one hour walk to the Old Power House and a game of golf.